A Flower Garden Quilt Using a One Patch Pattern. Imagine a flower garden quilt with all your favorite colors. 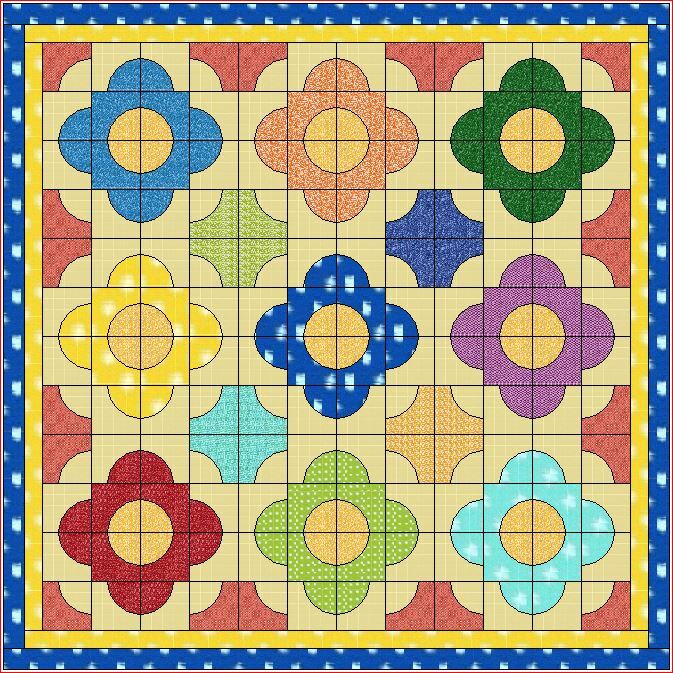 This free quilt block pattern is predictable using bright colors that harmonize with each other. skeptical? 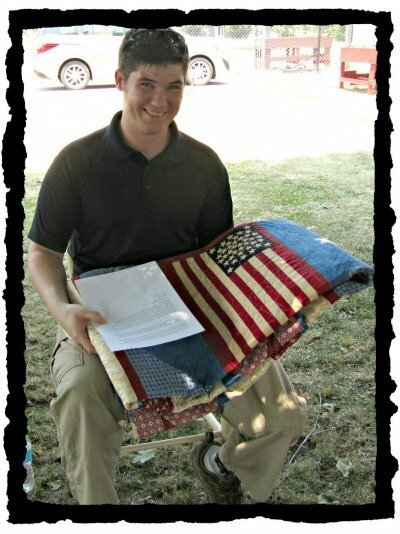 Just scroll down to view the finished results displaying our easy quilt pattern. Our flower garden quilt consists of two templates that include a concave piece of fabric sewn to a convex piece of fabric. For those of you who do not remember the difference we will explain. A concave is hollow or curving inward…think of a cave or interior of a sphere. 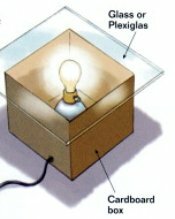 A convex is curving outward as the exterior of a globe. 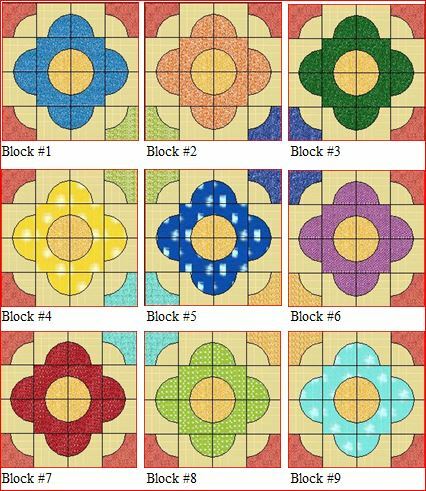 You will need (9) 28inch flower blocks to complete this FREE quilt block pattern. 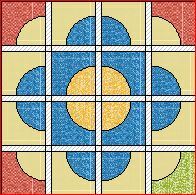 The flower garden quilt consists of 16 individual 7”x7” smaller blocks equaling one 28” completed square. 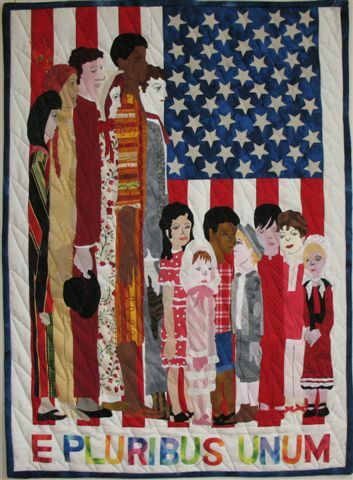 You can download our templates we used to make this quilt. In our ‘flower garden quilt’ we have used 16 different colors with the yardage requirements shown below. Using marking pencil of choice, mark the center of both Template A (Concave) and B (Convex) pieces' curved edges. Pin together the curved edges of concave pieces to the alternate color convex pieces, (right side to right side). Pin at the center and again at both ends. It is important to match the black dots when pinning together. Then continue pinning edges together easing in fullness. Distribute fullness evenly and stitch seam slowly; do not sew over pins, remove each pin as it is approached. Do this with each of the 144 combo squares. 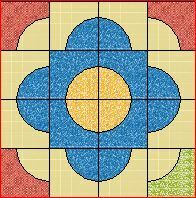 Sew blocks together to form a row following diagram of completed quilt center. Sew rows together to form the quilt center. This quilt has 3 blocks per row and 3 rows to complete finished quilt center. The unfinished center quilt top should measure 84-1/2” wide by 84-1/2” long. 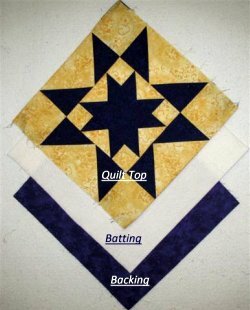 Don't you agree that this is quite an easy quilt pattern? The following calculations were made using a seam allowance of 1/4” (unless noted otherwise), a width of fabric (WOF) of 42”, a binding cut width of 2-1/2”, a backing excess of 4”, and borders sewn to the sides of the quilt center first, then to the top and bottom of the quilt. 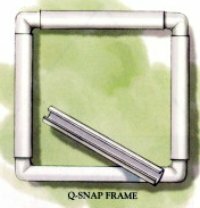 A rule of thumb is to add 1/8 to 1/2 yard to all yardage to account for shrinkage, straightening, cutting errors, and prints that may require special cutting to get the best results. 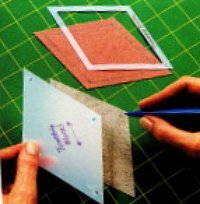 You should protect your investment in time and fabric by making a sample block from scrap material before cutting into your fabric. Cut 10 strips 3” wide by the WOF. Sew the strips together end-to-end with a diagonal seam. Cut 2 strips 84-1/2” long for the quilt sides and cut 2 strips 89-1/2” long for the quilt top and bottom. When finished adding the inner border, the quilt should measure 89-1/2” wide by 89-1/2” long. Cut 10 strips 3-1/2” wide by the WOF. Sew the strips together end-to-end with a diagonal seam. Cut 2 strips 89-1/2” long for the quilt sides and cut 2 strips 95-1/2” long for the quilt top and bottom. When finished adding the outer border, the quilt should measure 95-1/2” wide by 95-1/2” long. You will need an additional 8-5/8 yards of fabric. Remove the selvage. 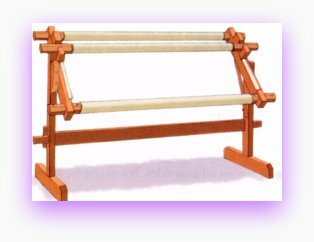 For vertical piecing, cut 3 pieces 103-1/2” long by the WOF. Sew the pieces together along the long edges with a 1/2” seam (for backing only). Press seams open, then trim the width to 103-1/2”. 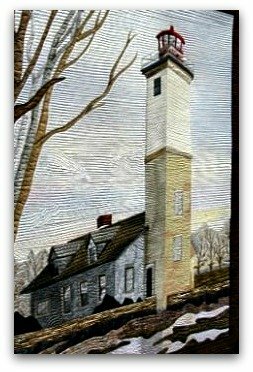 When finished, the backing should measure 103-1/2” wide by 103-1/2” long. You will need an additional 7/8 yard of fabric. Remove the selvage. Cut 11 strips 2-1/2” wide by the WOF. Sew the strips together end-to-end with a diagonal seam. Fold binding strip lengthwise with wrong sides together. Press using an up and down motion making sure you do not stretch the binding by pulling the iron back and forth over the fabric.